Disclaimer: This post is sponsored by REBBL, but all opinions are my own. Thanks for supporting the brands I love. I know it’s kinda early for pumpkin, but to be honest, we eat it all year long. 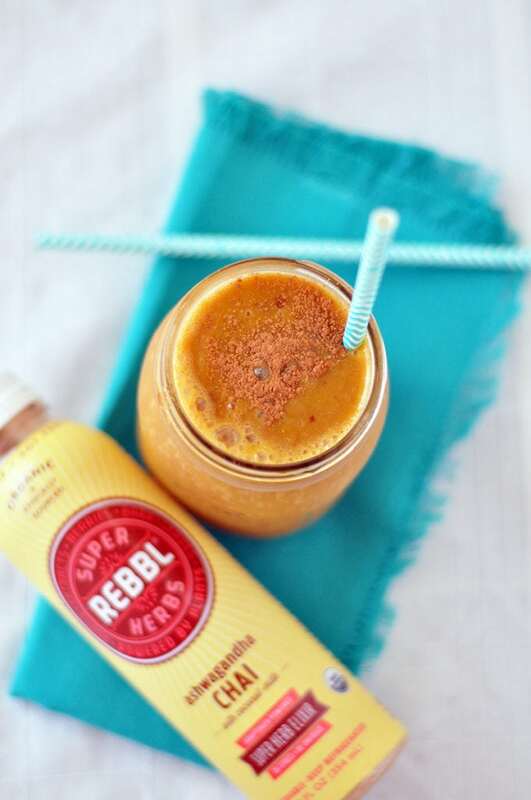 The minute I tried this REBBL Ashwagandha Chai Coconut Milk Elixir, I knew it would be delicious with pumpkin. I was right. 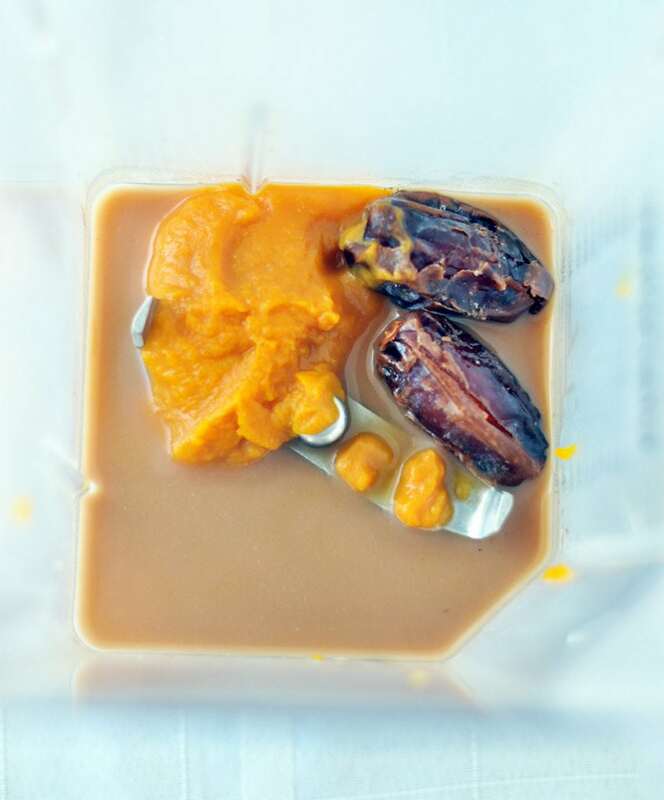 The warm spices from the Chai, pair perfectly with the pumpkin! I had the pleasure of trying all the vegan flavors and they are delicious. Perfect for take on the go, just like you would a coffee drink, but without the caffeine. I really love the Maca Cold-Brew as an alternative to coffee drinks. The maca root gives you sustained, non-jittery energy, and the taste is great too! REBBL stands for Root, Extracts, Berries, Bark and Leaves. 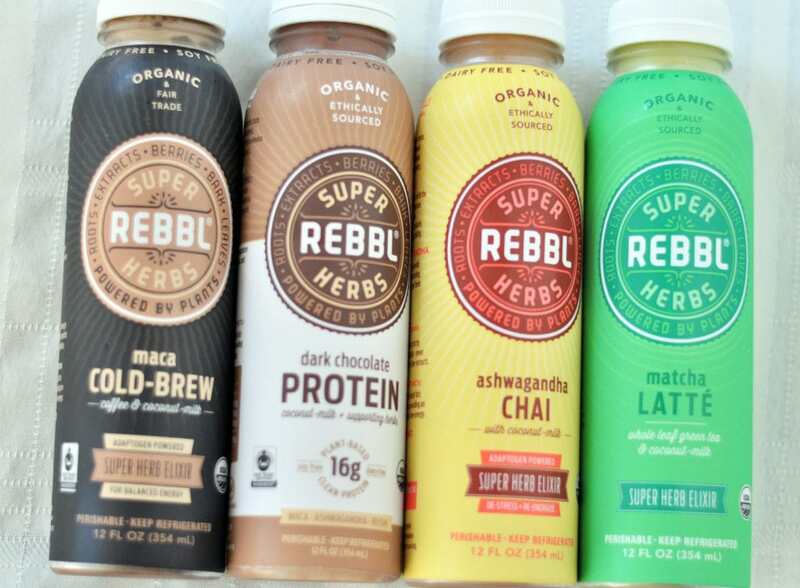 REBBL offers many different coconut milk elixirs: Matcha Latte, Turmeric Golden Milk, Maca Cold Brew, Maca Mocha, Reishi Chocolate and Ashwagandha Chai. They also offer 2 protein drinks: Dark Chocolate and Vanilla Spice. ALL are vegan with the exception of the Turmeric Golden Milk and the Matcha Latte. Both of those contain honey. 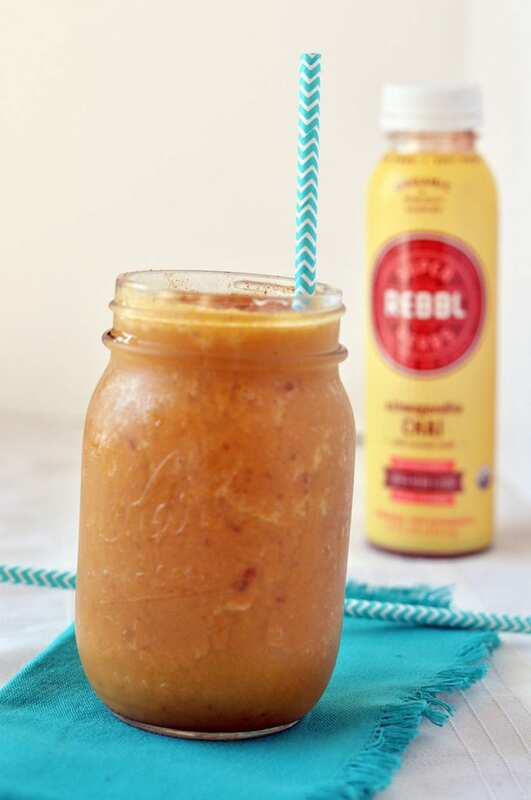 REBBL drinks are also: organic, fair trade, made from real ingredients, free of chemical thickeners or emulsifiers, and they contain super herbs. To find REBBL products near you, you can use the store locator on their website. You can also follow them on Facebook, Twitter, and Instagram. 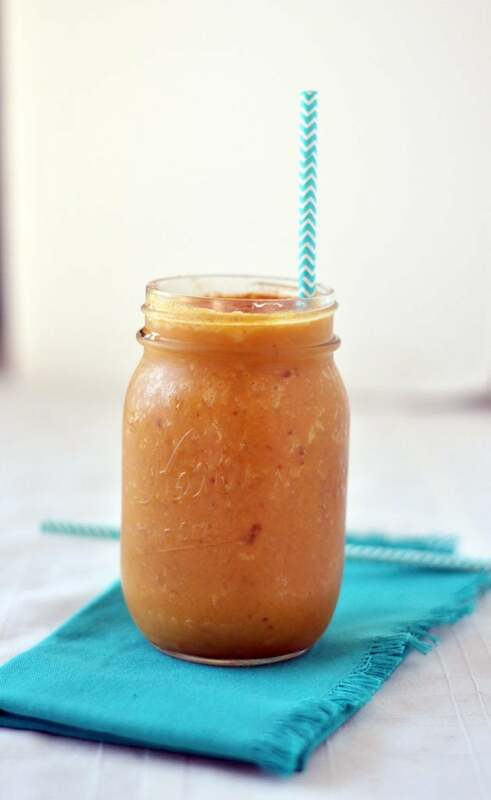 The perfect blend of summer and fall in one healthy drink. Combine all ingredients, except the ice, in a blender and blend until smooth. Then add the ice and blend. Serve immediately for best results. Enjoy! Yummy! Saving this so I can try it as soon as pumpkins are back in my local supermarket! Thanks!! I hope you enjoy it!